Kemer is regarded as one of the 100 diving spots in the world. Paris 2 is a freighter that was sank during the World War I by Artillery Battalion under the command of Capt. Mustafa Ertuğrul on 13 December 1917 and its wreck is lying on the ground of sea, about 33 meters depth off- Kemer Marina. The length of Paris 2 ship was 50 meters, the width was 8 meters and weight was 551 gross tons. The ship also had 6 anti-aircraft weapons and 2 torpedo tubes. 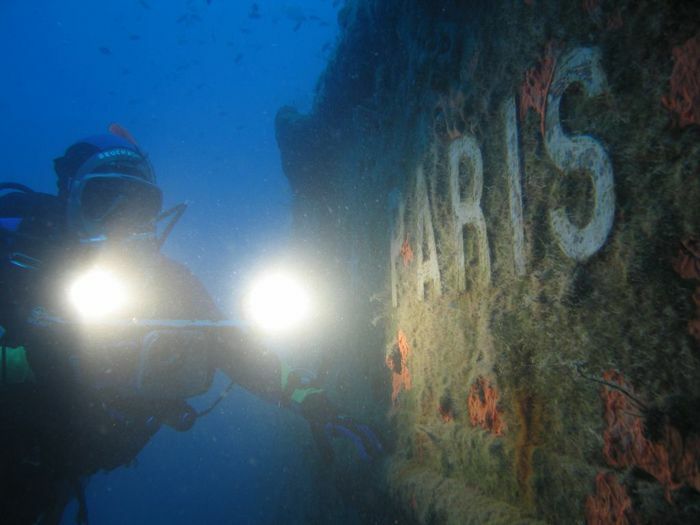 After discovered in 1995, Paris 2 wreck has attracted divers and under water photographers.